Nathan Drake's treasure hunting days may be over, but he can add one more shiny to his shelf: the 2016 Golden Joystick Award for PlayStation Game of the Year in association with Official PlayStation Magazine. Uncharted 4: A Thief's End took home the biggest accolades in a category full of stiff competition from the likes of The Witness, Firewatch, and more. 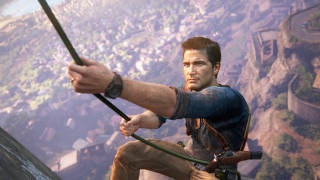 Uncharted 4 came out on May 10, 2016 after a series of delays, bringing an end to Naughty Dog's work on the character-driven adventure series. The tale of action, mystery, and romance may continue at another studio, but Naughty Dog has bid Drake and company farewell after more than a decade working on their adventures - making this last bit of recognition from the Golden Joystick voting public all the sweeter.